The long-awaited model brings a number of innovations. It is more powerful, yet it can be more environmentally friendly. It will impress you with its unique mowing deck, which not only perfectly copies the mowed terrain, but also offers two ways to mow the grass. In addition to precise mulching, it offers the possibility of cut&drop option which allows for a further use of the grass material. 3RIDER is the first remote-controlled mower with different driving modes, which can be used according to the variety of terrain and make the mower very effective. The different steering modes allow the mower to rotate around its vertical axis quickly making no impact on the ground, smooth and safe turning together with the rapid movement is suitable for unexpectedly changing terrains. Thanks to the Kubota 24.8 HP diesel engine with very low fuel consumption, 3RIDER mowers achieve a low-cost operation compared to other heavy machinery. The lightness of the machine and the small, high-speed rotary blades that do not produce a strong suction effect make the lawnmower more environmentally friendly even to the animals living in the turf ground. 3RIDER is the largest, fully professional SPIDER model designed for mowing large flat and sloping surfaces. The 24.8 HP Kubota diesel engine provides the necessary power for high quality cut, even in harsh environments, while reducing fuel consumption and emissions. At the same time, thanks to the unique construction of light and strong materials, it extends the possibilities of its operation also to areas that do not allow for the use of heavy machinery, eg various protected reservoirs, etc. concerning the terrain damage. Unique patented terrain copying mowing deck with a width of 154 cm and floating chassis can perfectly copy the terrain. It is easy to switch from mulching mode to cut&drop mowing mode by changing the blades. At the same time, these seven small high-speed blades guarantee high performance and low fuel consumption. You would hardly find a safer machine on the market than SPIDER. Thanks to the remote control, the operator is outside of the hazardous work area, is not exposed to vibrations, noise or exhaust fumes of the mower. Moreover, the suitably selected center of gravity of the machine makes it impossible to tip over. 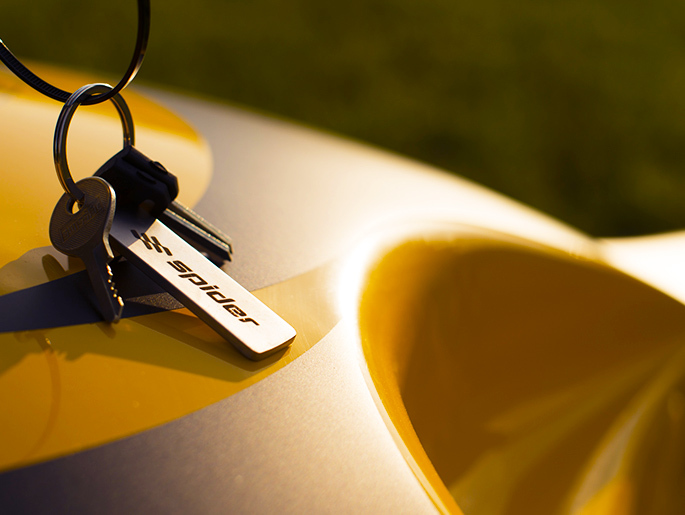 When designing the Spider 3RIDER, we also emphasized on the protection of fauna living in mowed terrain. For this reason, the mowing deck includes a set of small diameter blades that produce a significantly lower suction effect than conventional mowers, and at the same time, thanks to its light structure, contribute to a gentle treatment of the mowed terrains. SPIDER 3RIDER is powered by Kubota D1105 diesel engine. 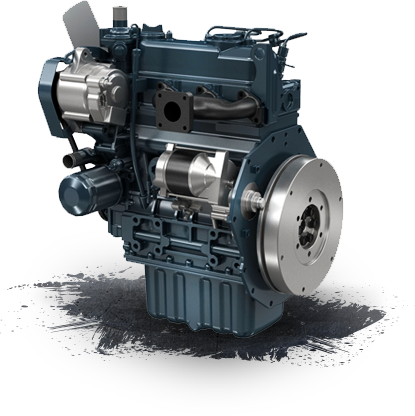 24.8 HP 3-cylinder water-cooled diesel engine that delivers light weight and minimal level of noise. Compared to the previous Spider models, which have 2 speed ranges and 1 steering mode, the 3RIDER is the first remote-controlled mower offering more steering modes so you can select the most suitable one to the mowed terrain. Spider mode - patented machine travel design allows omnidirectional mowing without the need for difficult maneuvering. We call this kind of movement a spider mode, or "dancing step", and can simply be described as a four-wheel drive forwards and backwards, combined with unlimited 360 ° all wheel’s rotation. On a field with a rapidly changing slope and where other machines move with great difficulty, the SPIDER with its original dancing step is absolutely unbeatable. Car Mode - Allows wheels to rotate at a different speed for smooth and safe turns. Zero turn mode - when using zero turn mode, all wheels turn to 45 °, allowing the machine to rotate around its axis without disturbing the grass surface. Spider mowers stand out with the ease of placing the machine in the service position, and the 3RIDER mower is no different. For changing the blades or cleaning the mowing deck, it is possible to simply lift the mowing deck into its service position. Arrange a test drive with one of our representatives absolutely for FREE!